■ Delights lips with fruity scent and smoothing, long lasting care. ■ Naturally enhances the look of your lips with a reddish glossy color. 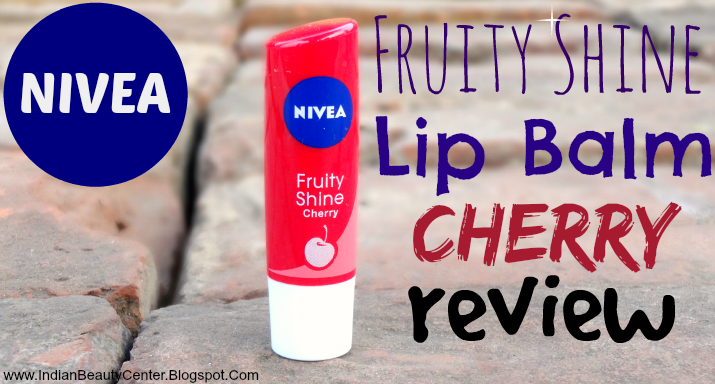 Again, this shade from the Nivea fruity shine lip balm looks supremely cute and attractive. I am trying all the shades from their lip moisturizer range and the cherry variant has just delighted me as much as the other shades have. Basically, these babies smell delicious. I find the fragrance soothing and calming yet tangy and fiery. The lip balms glide on very smoothly and three strokes are enough to complete application. And yeah, these definitely have a very good shelf life. The lip balm, as its name suggests, has a mild red tone to it. It claims to contain fabulous shimmer and it truly has that. The shimmer particles are nor coarse and thankfully do not make my lips look like that of Nicki Minaj :P :P And yet, my lips look glossy and have that perfect sheen to them. Apart from being travel friendly, this lip moisturiser also hydrates my lips for about 2 hours. The light color fades away in an hour or so. And yes, it is not meant to provide coverage to your lips. So pigmented lips, be sure to use your favourite lipstick underneath this! This chapstick is not much of help for those with extremely chapped, dry, cracked lips. 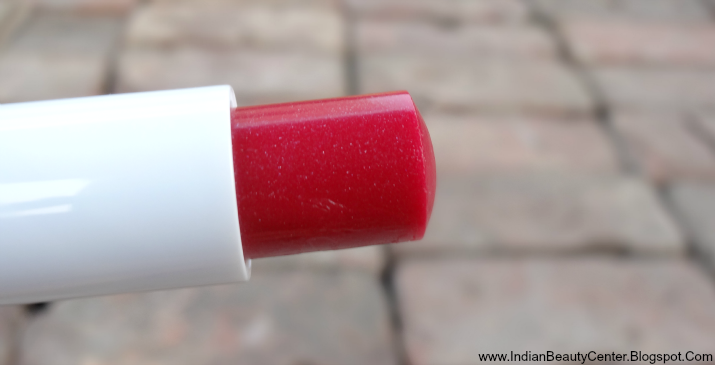 But, for lips like mine, which is just about normal in summers, this is a sure-shot winner. The subtle hint of color it provides to the lips is amazing, although this particular variant is not much pigmented. I have already tried quite a few flavours before and so i can precisely tell that these do not heal the lips magically or anything. they just help with dryness for a limited period of time. But, it you use them religiously, you might notice a change. **PR Sample. My review is totally honest. Pinky-promise!